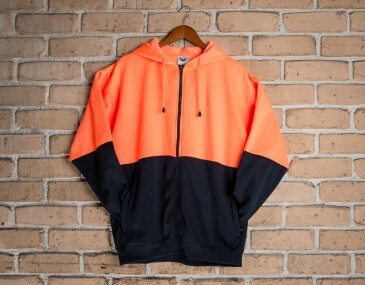 This high visibility full zip fleecy hoodie not only provides a warmth and safety, but style as well. Comprised of a 80 percent polyester, 20 percent cotton blend, this hoodie is robustly designed, featuring a soft, yet sturdy material. Warm and highly visible, this is a solid piece of safety work wear, while the zippered hoodie design adds a touch of casual style.